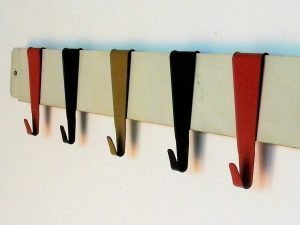 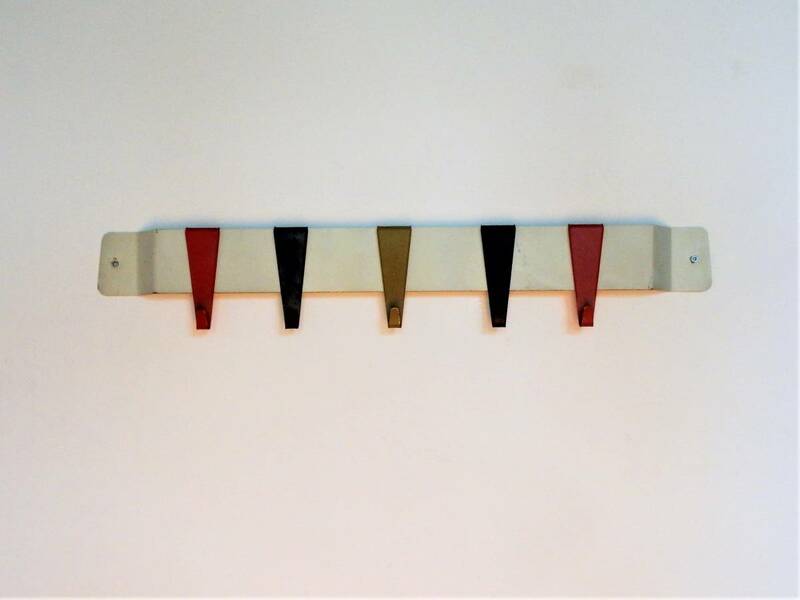 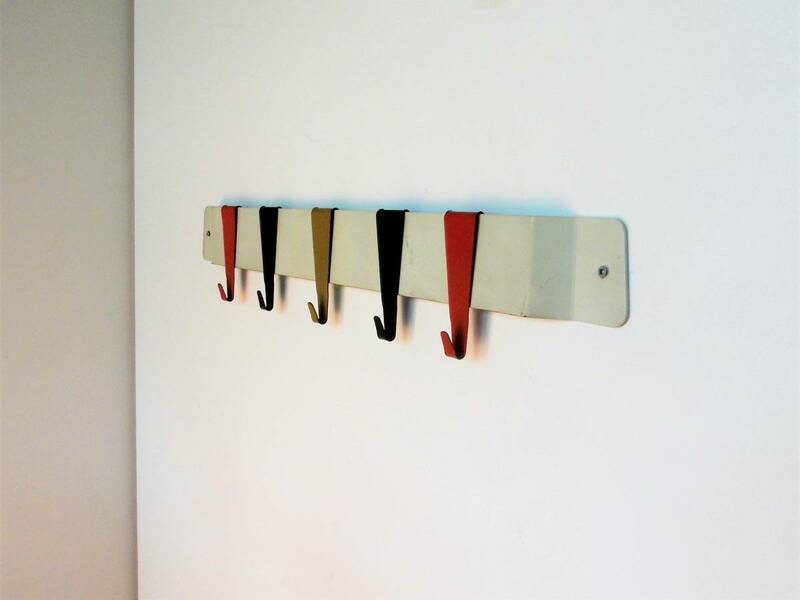 This small and elegant coat rack was mostly used as a children’s coat rack. 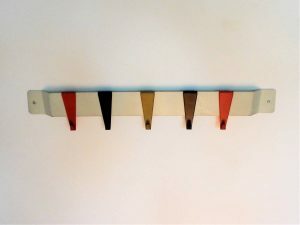 It is a rack not often seen. 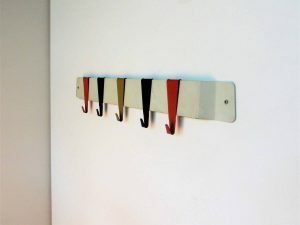 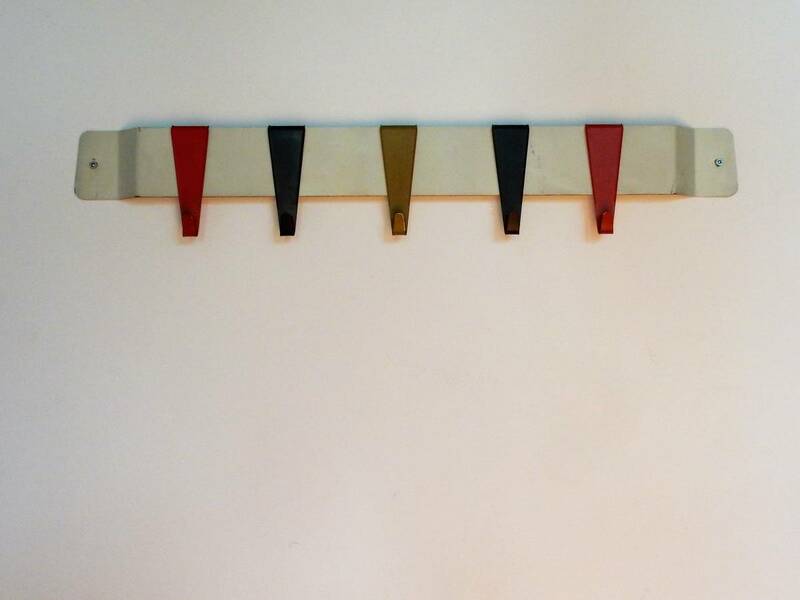 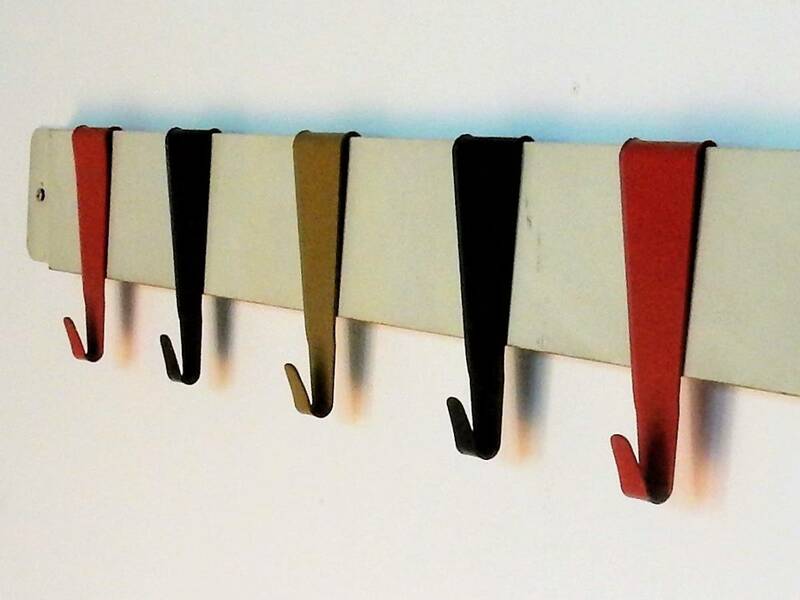 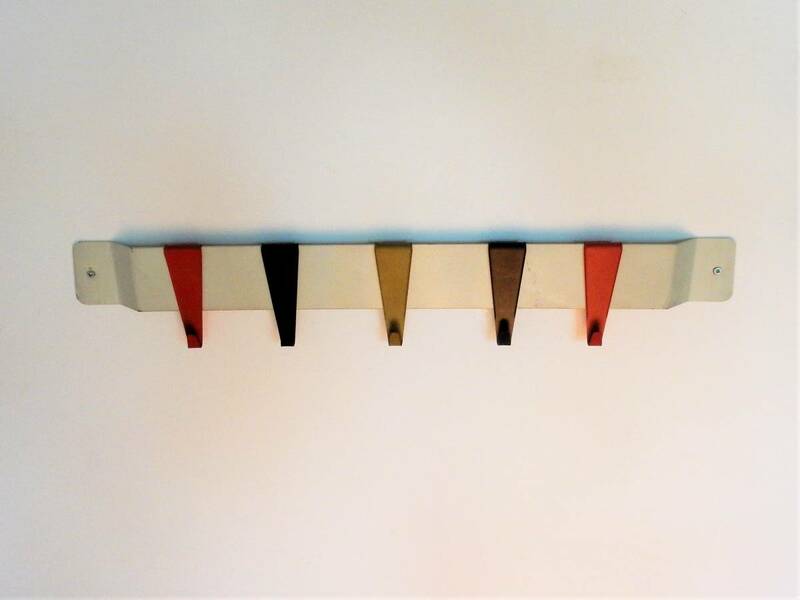 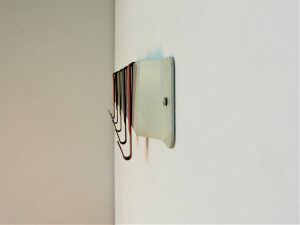 It has a minimalist white metal frame and 5 multi-colored metal hooks. 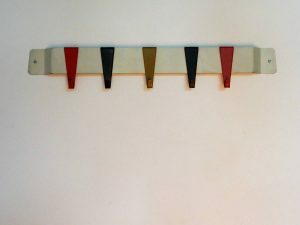 It is in a very good condition with some signs of age and use. 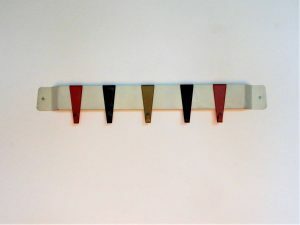 We also have the black version available in another listing.